Having an understanding of your health as a whole is important. We stress the importance of having a healthy MSK system, and do our best to provide you with as much information and tips on how to achieve this. 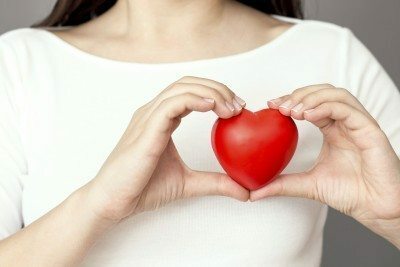 Part of having a healthy MSK system is in the steps you take towards maintaining and improving your cardiovascular health. Interestingly, cardiovascular disease rivals MSK conditions in terms of overall burden. So, to benefit long-term health, both need to be addressed. Preventing heart disease is important to maintaining your independence and quality of life. Perform at least 150 minutes per week of moderate exercise or 75 minutes per week of vigorous exercise (or a combination of moderate and vigorous activity). Staying active can provide great benefit to the heart. Activities that promote aerobic capacity such as walking, jogging, swimming or biking provide an excellent benefit to the heart. Sometimes it’s difficult to make better choices – it may seem easier to eat fast food, or to watch television on the couch rather than go the gym. However, making good choices now can help you maintain and enhance your health for years to come. The more we learn about how our habits can affect the health of our body and heart, the more informed choices we can make for a healthier life. Consider building a healthcare team! Collaborative healthcare is a great way to care for your overall health. Find out more on partnering with other healthcare providers so you can achieve maximum health.